Americans suffer an astronomical 1.1 million burn injuries each year that require medical treatment. Most burn injuries do not result in lawsuits either because the injured person is responsible for their own injuries or because the burns are not significant enough to warrant a lawsuit. But there are 40,000 hospitalizations each year from burn injuries and many of these accidents are the result of a negligent person or corporation. Of course, all types of physical injuries can be brutally painful. But burns really are especially awful. They often leave behind permanent mental and physical scars. Sometimes, only the victim really understands because they see their scars differently than we do. But scars can and do cause real destruction to the victim's self-image and self-worth. Burn injuries are often exacerbated by other negligence that makes the victim’s injuries much worse. One of the most difficult wrongful death cases our lawyers have ever taken to trial involved a case where a woman died after six days not because of the burns themselves but because of the chemicals that were in the fluid that caused her burns. Thankfully, we were able to obtain a significant recovery in our claim on behalf of our client, the victim’s 8-year-old daughter. The median recovery in burn injury lawsuits, according to Jury Verdict Research, is $366,313. But the data also reflects that in the most serious burn injury cases involving negligence, juries appreciate the sometimes unspeakable suffering caused by burn injuries. In the most serious cases where the victim suffered third-degree burns on over sixty percent of their bodies, the median verdict rises to $7,750,000.00. According to Metro Verdict Monthly, the median jury verdict in burn injury cases is $125,000 in Maryland and $400,000 in Virginia (no, our lawyers cannot explain the disparity). 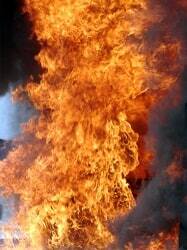 A burn injury that over gets overlooked is the trauma that follows breathing of gases during a fire. Ingestion of toxic substances and burns are an awful combination. Carbon monoxide poisoning in burn victims can often go undetected by health care providers treating burns until it is too late. Carbon monoxide poisoning is the cause of the majority of burn injuries. Our lawyers have represented burn victims and their families in burn injury and wrongful death cases. We handle burn cases from vehicle collisions, explosions, home fires, electrocutions, and liquid burn cases (no hot coffee cases, please!). Pain and suffering is a phrase that lawyers throw around pretty loosely in personal injury cases. But serious burn victims truly know pain and suffering. 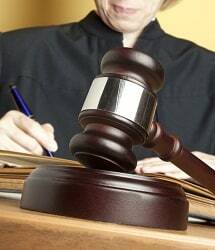 Our lawyers fight to get you the compensation you deserve. If you or someone you love has experienced a serious burn injury, call 800-553-8082 or get a free online consultation.